NBC's Saturday Night Live will kick off its upcoming 43rd season on Sept. 30 with host Ryan Gosling and musical guest Jay-Z. Returning for the second time as host, the twice Oscar-nominated Gosling is set to star in the sci-fi drama Blade Runner 2049, which opens Oct. 6. Accompanying Gosling on the season premiere will be Grammy Award-winning icon Jay-Z, who will be making his fourth appearance as musical guest. Jay-Z's album "4:44" was released in June, and he will embark on a world tour beginning Oct. 27. Gal Gadot will be making her first SNL appearance, hosting the October 7 episode of SNL. The actress starred in summer's #1 film, Wonder Woman, which earned more than $400 million at the domestic box office. Gadot will next co-star in the highly anticipated Justice League, arriving in theaters Nov. 17. Joining Gadot will be Grammy, Oscar and Golden Globe-winning artist Sam Smith, marking his second visit to SNL as musical guest. Smith dropped a new single, "Too Good at Goodbyes," on Sept. 8 in preparation for his upcoming second studio album release. Kumail Nanjiani will host the season's third show on Oct. 14, marking his debut. Nanjiani stars as Dinesh Chugtai in HBO's Silicon Valley and most recently wrote and starred in the critically-acclaimed film The Big Sick. Grammy Award-winning artist P!nk will join Nanjiani for the season's third episode as musical guest. Her seventh studio album, "Beautiful Trauma," is due out Oct. 13. P!nk was recently honored at the MTV VMAs with the Michael Jackson Video Vanguard Award in August. NBC also recently announced that this season of Saturday Night Live will air live simultaneously around the country, beginning with the highly anticipated season 43 premiere on Sept. 30 with host Ryan Gosling and musical guest Jay-Z. Each episode will air live at 11:30 p.m. Eastern, 10:30 p.m. Central, 9:30 p.m. Mountain, 8:30 p.m. Pacific. 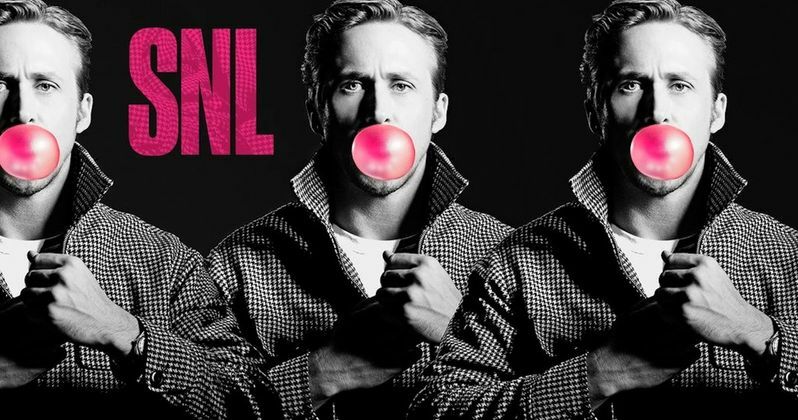 For the Mountain and Pacific time zones, "SNL" will be repeated at 11:30 p.m. The live coast-to-coast airings that began in April grew 11% in "live plus same day" viewership versus what "SNL" was averaging earlier in the season (8.3 million vs. 7.5 million, according to Nielsen Media Research), indicating strong interest in the formerly tape-delayed markets to see the show live. Last season, SNL hit a six-year ratings high, and earlier this month, Melissa McCarthy won an Emmy Award for her popular portrayal of former White House press secretary Sean Spicer, while Alec Baldwin also won an Emmy for his portrayal of U.S. President Donald Trump. Other highlights from last season included a sketch where Kate McKinnon portrayed Trump adviser Kellyanne Conway in a Fatal Attraction sketch and Tom Hanks' now-iconic David S. Pumpkins sketch. SNL also debuted a four-episode prime-time spin-off Saturday Night Live: Weekend Update, where hosts Colin Jost and Michael Che broke down the week's news in primetime, every Thursday night in August. Saturday Night Live is produced in association with Broadway Video. The creator and executive producer is Lorne Michaels.